Gorgeous, well-maintained, and roomy Altura home in sought after Hidden Creek Estates! 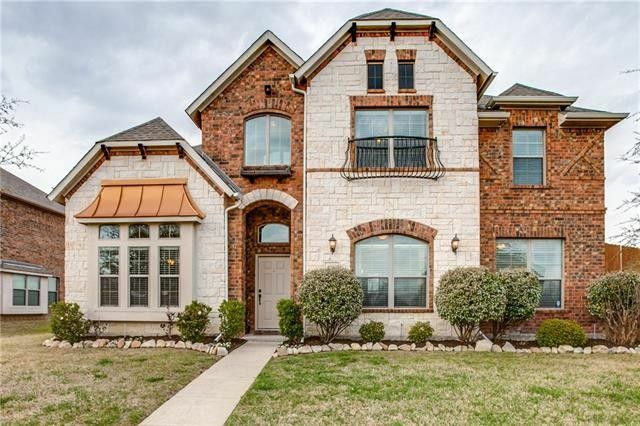 This well-designed home features enormous light-filled master bedroom, guest bedroom, separate full bath, and study down with three additional bedrooms and an oversized game room up. Spacious kitchen with tons of storage and counter space along with two dining areas make this a great gathering place to host friends and family. Designer touches throughout include arched doorways, trayed ceilings, and wooden beams in the dining room. Outdoor area is perfect for enjoying the wonderful spring evenings with a covered porch and large concrete patio flanked by beautiful landscaping as well as an eight foot wooden fence for privacy. Directions: From I-30, take exit for FM 548 in Royse City. Go north on FM 548 to downtown. Turn right onto east Highway 66. Turn left onto FM 1777. Turn left into Hidden Creek Estates. Home is on right in Phase 2.